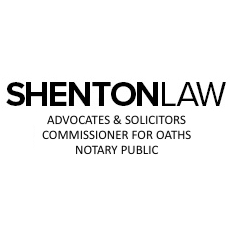 Mr David Lee, a Notary Public and Commissioner for Oaths, is the managing partner of Shenton Law Practice LLP. He graduated with a LLB (Hons) degree from the National University of Singapore in 1992 and was admitted to the Singapore Bar in 1993. He is both a Fellow of the Singapore Institute of Arbitrators and the Chartered Institute of Arbitrators and is an Associate Mediator at the Singapore Mediation Centre. He has a LLM (Hons) Degree from Pantheon-Assas University (Paris II) and a MSc (Applied Economics) Degree from the Singapore Management University. He is a member of the Law Society of Singapore, Singapore Academy of Law, International Bar Association and American Bar Association. Mr David Lee’s practice is solely in the family and matrimonial areas and has acted in both contested and uncontested divorces, with contested assets located in multi-jurisdictions. For enquiries, please contact him at 6225-8880.